Find hotel near Nuffield Health Fitness & .. 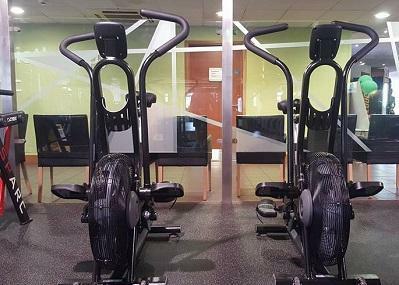 The Nuffield Health Fitness & Wellbeing Gym is one of the most popular gyms around Bristol that is well equipped to cater to your fitness needs. From a state-of-art gym to a wonderful pool and a sauna and steam room, this place truly has whatever you might need to workout. Their health assessments are also quite popular along with the onsite health clinic and rehabilitation gym. Whether you want to workout or go for a swim, this is the place to be at. You could even try their free gym trial if you want to. Try the best Bristol trip planner to visit this The Nuffield Health Fitness & Wellbeing Centre as well as many others. Add comfortable hotels to your plan, choose from the recommended hotels in Bristol like Days Inn Bristol Hotel Gordano, Holiday Inn Express Bristol City Centre and Hampton By Hilton Bristol Airport. Create your own Bristol vacation packages or choose from the ones made by travel experts. Also explore the best ways for how to reach Bristol. How popular is Nuffield Health Fitness & Wellbeing Centre? People normally club together At-Bristol Science Centre and Colston Hall while planning their visit to Nuffield Health Fitness & Wellbeing Centre. The only reason i wouldn’t rate it 5 stars is the price... but the place is fantastic. The gym itself has just recently been redone - including some pretty fancy new toys tech wise. Smart treadmills with large displays and a range of other cool kit. The gym itself is spacious but the views out are a little lacking. Locker rooms are great with digital locks built in. Free towels are also provided. Also includes shower facilities. The physiotherapy here is great too - with experienced staff and it’s easy to get a quick appointment. High recommend Andy as a physio. The cost of the gym is high... but you get what you pay for. Unlike most gyms - it has helpful staff on hand and is generally a classier venue than your average 24 hour city gym. Swimming pool of course justifies the cost if you make use of it. There are also sauna facilities. Overall - top gym if it falls in your price range. Great equipment and facilities. Always clean. Friendly staff. Pricey, but those things make up for it. I’m a member and wish I could get out of my contract. The new equipment is pretty limited and a bit cheap feeling. There are so many amazing vendors in the market, I’m not sure why they went for this average crud. They’re missing basic pieces that any budget gym would have. Not only are the missing a simple incline bench, they’re even missing ropes for the cable machines. It’s not the fault of the good people who work there and, as part of their job description and security, need to hype up the change. My advice... save yourself the money and go to one of the budget gyms. Sorry Nuffields, but you really need consult people who actually use a gym more than once a year. Not cheap but the best for Les Mills virtual cycling experiences. Go with a friend to make sure to make the most of your membership. The gym equipment is great, the sauna is decent, but found the staff that were there on the day not very helpful and somewhat rude, the tour consisted of that's the gym and the changing room is over there. Hygiene in the pool was poor and nobody appeared to shower between the sauna/steam room and pool. For the money and being one of the ost expensive gyms in Bristol I would expect a lot more.